ONLY 25 COPIES IN EXISTENCE! 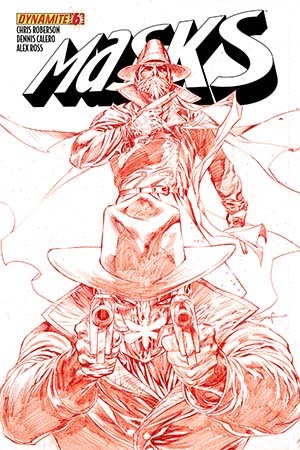 Ardian Syaf promises masked justice and bloody violence galore with the Crimson-hued line art of this super-rare variant cover. Ships bagged and boarded with a Dynamite Certificate of Authenticity.